Characteristics: This elbow length sterile surgical glove is 18 1/2 inches in length making it essential for deep cavity procedures. 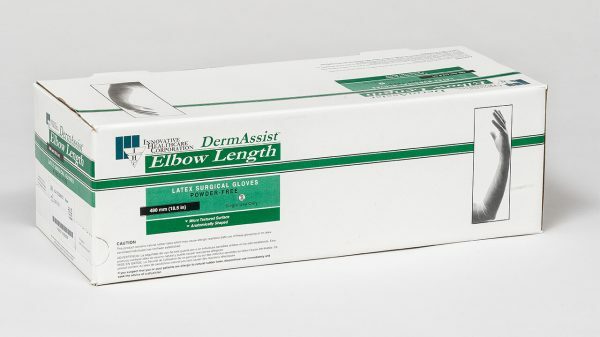 The DermAssist® Elbow Length is manufactured with an ultra-low modulus for greater comfort and less hand fatigue during long surgical procedures. Natural Color.